What better way to express love than with a little heart symbol? 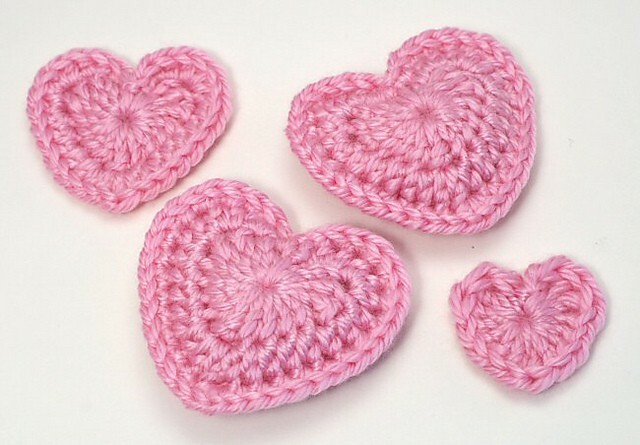 Crochet heart are cute, make you smile and don’t need words. Everybody knows their meaning. 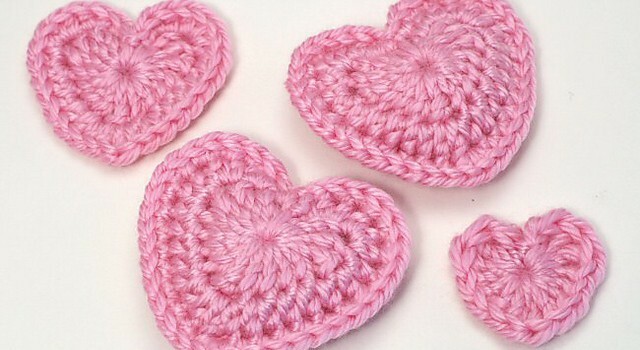 These adorable puffy Love Hearts by June Gilbank come in four different sizes and make great embellishments for all sorts of stuff from home made table gifts to toys and pins, makeup remover pads or little baby washcloth. Anything your mind can think, these little hearts can achieve. Thanks to June Gilbank for article inspiration and featured image. The hearts from this pattern can be used to make shamrocks! Make 3 or 4, sew them together and add a stem. I <3 this shamrock! Brilliant idea! Thanks for sharing Amy! Adorable! Such exquisite creation! Thanks for sharing April! You’re welcome! I can’t take credit for the idea though. Rebecca I’m sure you asked me about hearts??? I hate the shams. You go to the site and there is no pattern. Free or otherwise. This are so pretty and so easy to make.